NOW AVAILABLE IN 4 AND 6 BAR VALUE PACKS! 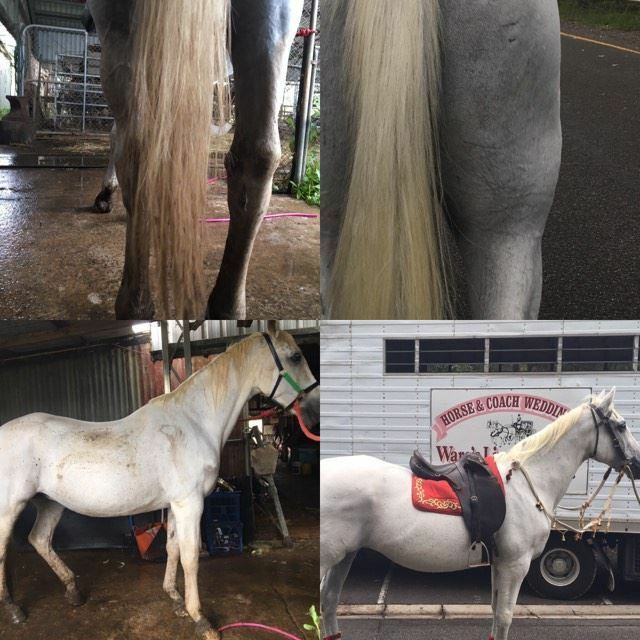 From the Land of the Long White Cloud come naturally long, sparkling white manes, tails and feathers, and a beautifully gleaming white, silky soft coat. 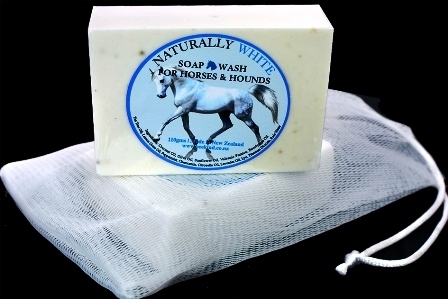 Naturally White Soap Wash For Horses & Hounds is hand-made and 100% natural. The base plant oils are sunflower oil, olive oil and coconut oil with added finely ground NZ organic volcanic pumice and gold certified essential plant oils. We do not use chemicals, alcohol or preservatives. 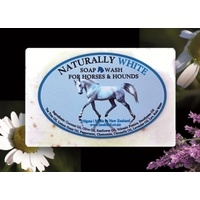 Due to the soaps high pH balance we do not have to add in chemical preservatives. 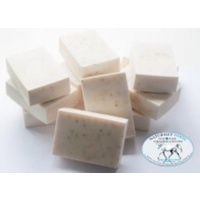 We also lovingly make these soaps in small quality batches by hand and not by machines! So there is no problem with shelf life or cheap undisclosed commercial ingredients. 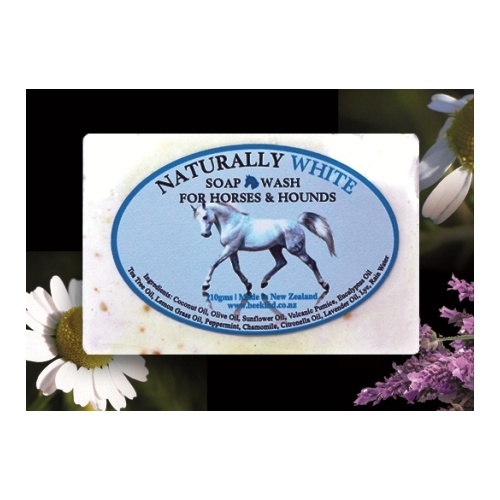 Can be used on all coloured horses and dogs as it's a 100% natural formulated herbal and essential oil plant soap to treat skin and coat conditions. Lavender oil repels bugs and takes the sting away from bites. 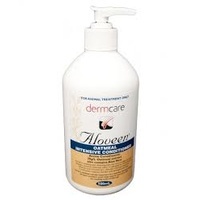 It is a natural anti-septic and anti-bacterial oil with good antioxidant properties. Tea tree has anti-fungal, antiseptic / bacterial properties which aid with insect bites. 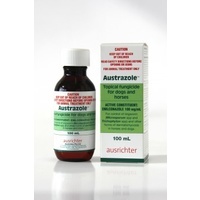 This oil is also used extensively for its insect repellent properties. Peppermint is an emollient and astringent and is stimulating, cleansing, restorative and healing. Chamomile relaxes sore muscles, fights infection and promotes healing. Neem oil has natural insecticidal properties and is a natural vegetable oil extracted from the Neem tree in India. The leaves, seeds and seed oil of the Neem tree contain sallanin, a compound which has effective mosquito repelling properties. Eucalyptus oil is also used in antiseptic and germicidal disinfectants because of its pleasant odor and its effectiveness in killing bacteria. Eucalyptus oil has great medicinal value due to its anti-inflammatory, antispasmodic, decongestant, antiseptic and antibacterial properties. 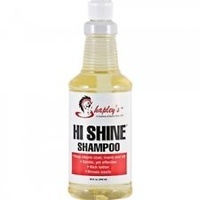 It helps to keep pets clean of fleas, ticks and lice. 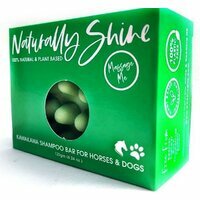 Lemongrass oil helps with infections and keeps the family pet flea and tick free and smelling nice. 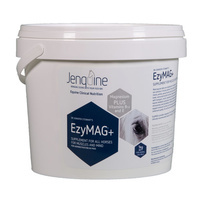 If you have a 'HARD WATER' supply, it means the water contains dissolved compounds such as calcium, magnesium, sulphates, chlorides and iron. Untreated water is likely to be a lot harder. This means that when the water is added to the soap, there will be little to no lather depending on the amount of compounds present. If you live in an urban or developed area you are likely to have access to a treated water supply- which has been stripped of all these compounds and only contains sodium (hence the not so nice taste to town water!). This water is called 'SOFT WATER' and will cause soap to lather up beautifully when water is added, tank water is also likely to be soft water as rain is naturally soft to begin with. 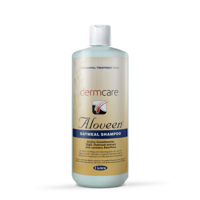 If you do have a hard water supply the cleaning effectiveness of our soap may not be as good as it would be in soft water. However leaving the product on for around 5-10 minutes before rinsing and doing a second wash should remedy this problem. This very soft double strength nylon mesh bag is great for hanging a used soggy, wet bar and storage in a tack room or float/truck after use. 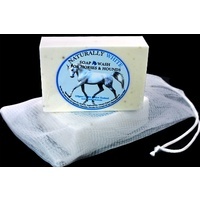 You can also use the soap inside the bag, to get a good lather to use on your horses or dogs coat and tails, then hang to dry for next time. You can collect all those end pieces of your Naturally White soaps or other favourite soaps, place them in the bag and enjoy them 'til their very end. 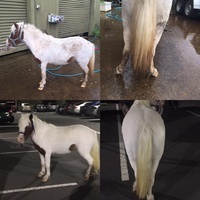 Easy to wash and dry. 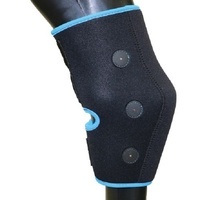 Soft, comfortable and good handle, strong absorption. Gloves use less water and soap if using as a wash mitt. Suds up soaps and shampoos brilliantly. The glove easily fits onto hand and is easy to use with no need for extra cloths, brushes etc. The other side of the glove when dry can be used as a horse coat buffer for shine. 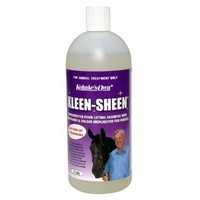 Great for horses that dislike sprays. 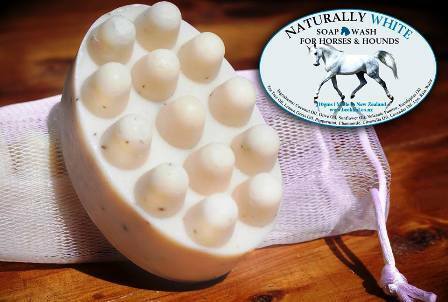 This soap in a rust-free tin is a clever way of washing your horse for quick spot cleaning or full washing. Once used, you can place the lid back on without your lovely bar turning to mush. 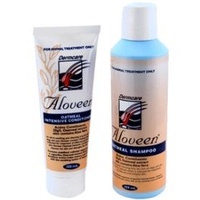 Very handy for your grooming gear kit and easy use for traveling and staying away. 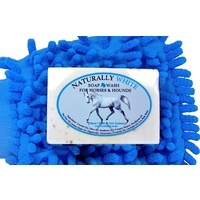 Great too for spot cleaning on white legs. All you need is a spray bottle with water, dampen sponge and the lid can straight back on. 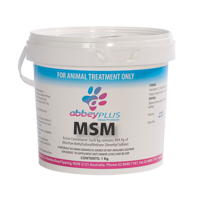 Lasts longer, less wastage! A sponge fits perfectly within the tin, but you can also use a rag, brush or grooming mitt, all with ease. 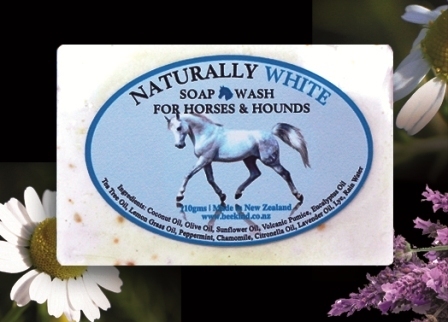 The bonus of this soap in a tin, is that it will last much longer than shampoos and bars without the nasty chemicals. 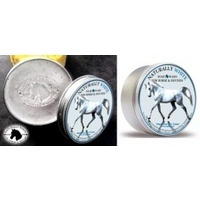 We received a lot of amazing feedback from riders using this soap in a tin in comparison to soap bars. This soap Lathers up exceptionally well and doesn't break down like a bar. 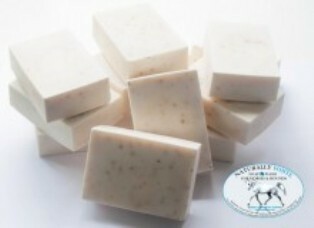 Usually a soap bar gets left in the bucket or you have to find a container for your soggy used bar. 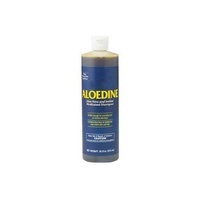 This soap in a tin is a clever way of washing your horse for spot cleaning or full washing. Once used, you can place the lid back on without your lovely bar turning to mush. 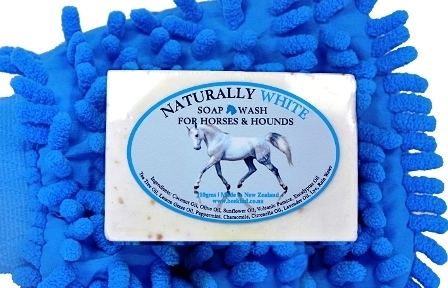 The deep cleansing and stain-removing action of Naturally White Soap, now in a luxurious massage bar for your horse or hound, is designed to gently cleanse while releasing the tension and stress of achy muscles. 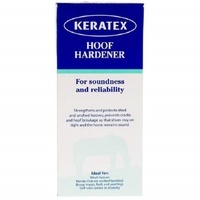 Use with warm water for the best results and massage in to the coat focusing on pressure points to stimulate micro-circulation. The very soft double strength nylon mesh bag is great for hanging a used wet bar, and for storage in a tack room or float/truck after use. You can also use the soap inside the bag, to get a good lather on your horses or dogs coat, and on the mane/tail, then hang to dry for next time. Collect all those end pieces of your Naturally White soaps or other favourite soaps, place them in the bag and enjoy them until the very end. Help other Equine Performance users shop smarter by writing reviews for products you have purchased.